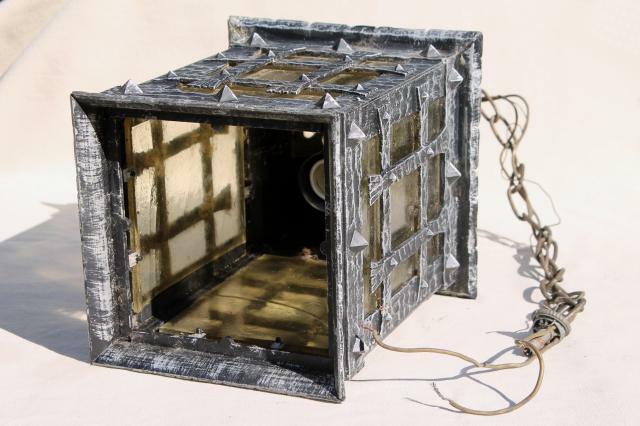 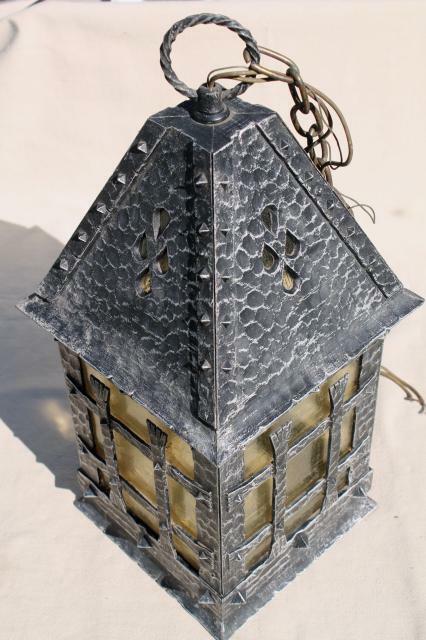 70s vintage lantern style hanging light with a brutalist look, like hand forged metal. 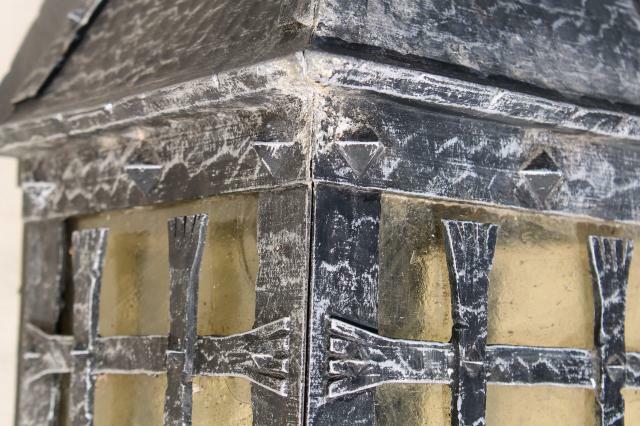 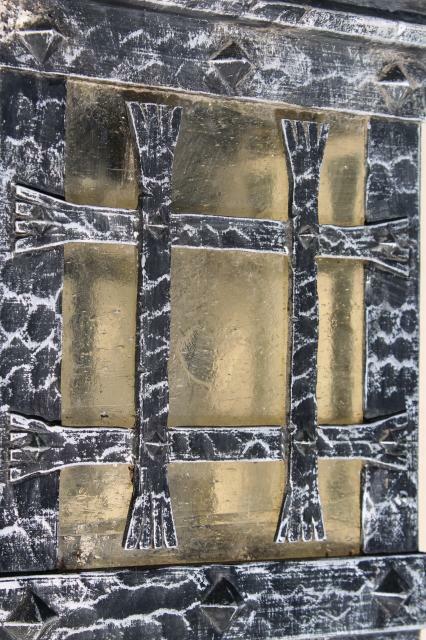 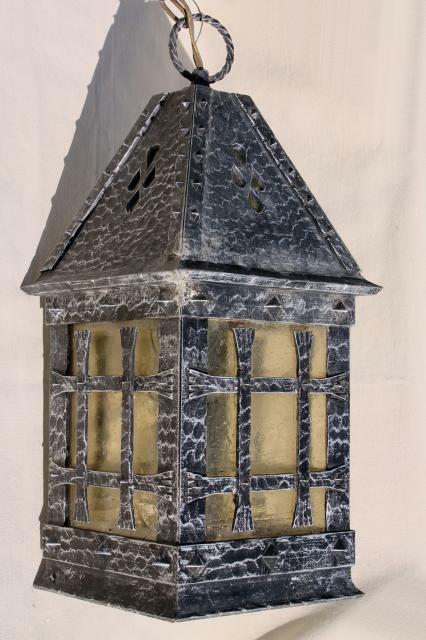 It's really cast aluminum with a nicely distressed black paint finish and textured amber glass panels. 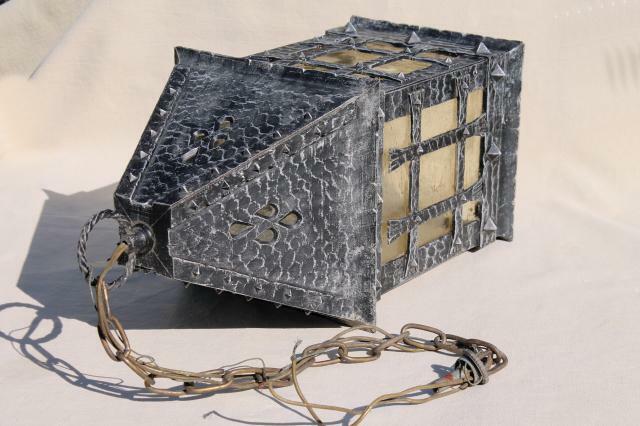 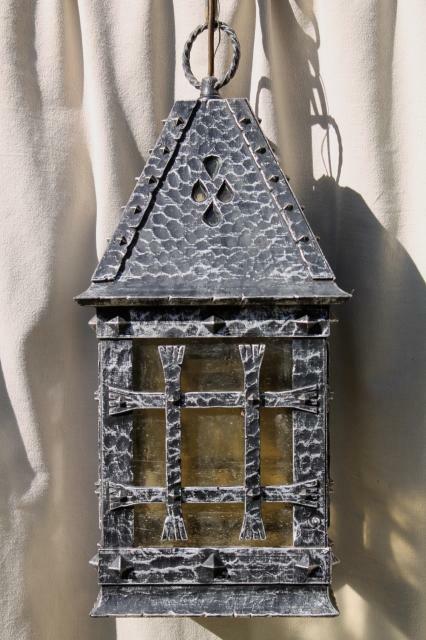 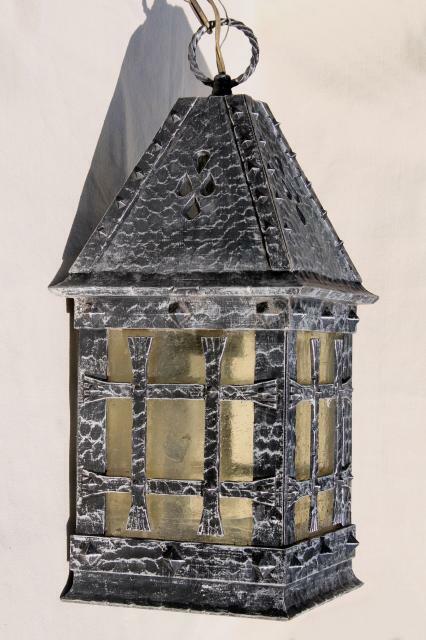 It's about 21" long, 8" x 8" over the lantern. 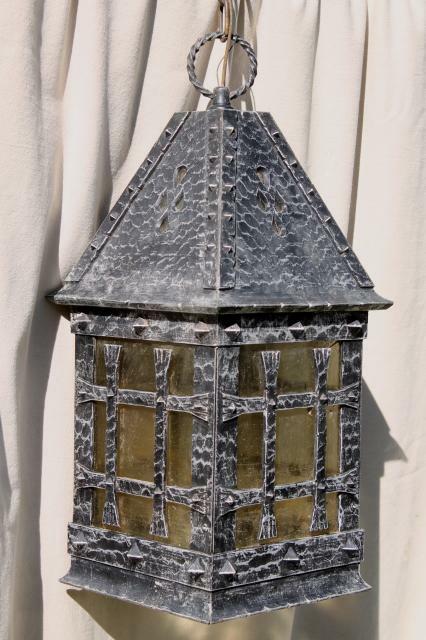 This needs rewiring with new light bulb socket inside - but aside from that, it seems to be in very good condition.